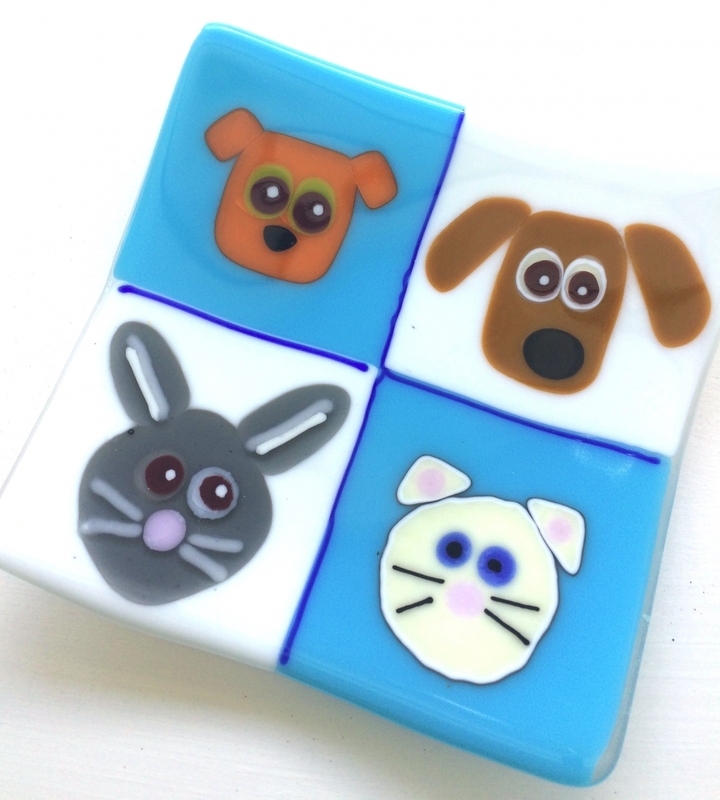 Open to artists from 8 to 88, those new to the vibrant world of glass will learn to use basic glass tools and create an animal-inspired 6 X 6 dish. Using an array of pre-cut pieces, students will be encouraged to make their own wonderful canine (or feline or whatever animals you like) collection. The glass pieces will be fired twice in our kilns to first fuse the glass, then shape it into a curved dish. Work will be ready for pick up in 2 weeks.